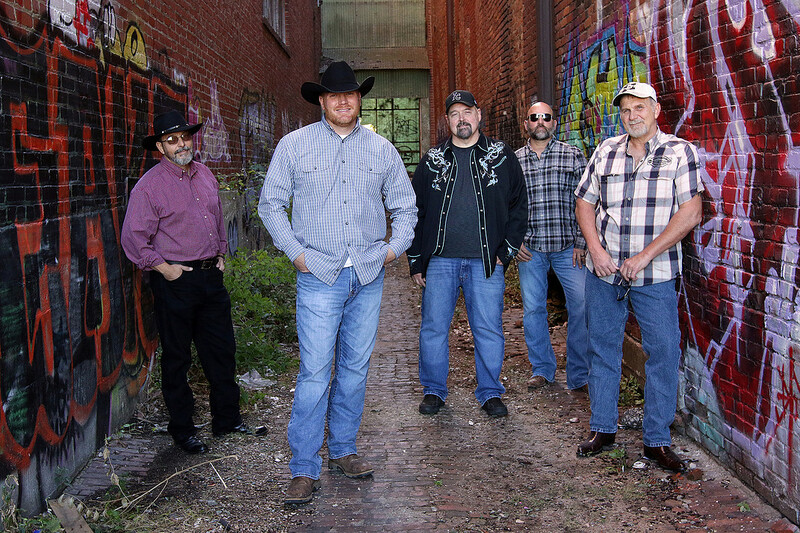 Midnight Rodeo, out of Kansas City Missouri, Offers Great Top 40 Country Music from current artists such as Blake Shelton, Billy Currington, Cole Swindell. All your favorites from the radio along with some timeless classics that never seem to get old. Throw in a touch of Southern Rock and Blues and you have MIDNIGHT RODEO. Worked as a band musician for over 30 years covered several different genres of music but country was what he cut his teeth on. He Traveled a 4 state area in the late 70’s and early 80’s with country group Southwind. Moved to Nashville for a short stint and worked as a pick up road player for recording artists such as Gene Watson, Narvel Felts and Eddie Raven.. Returned to his home town of Kansas City and continued to play in several local bands in the area. His personal goal with Midnight Rodeo is to entertain the crowd(s), put a smile on their faces, have a good time with his Rodeo buddy’s and follow his passion for music. It Is an accomplished guitarist, and singer. He has played all over the US and internationally with various Nashville stars as well as rock bands, R&B groups and gospel. He is highly skilled in many styles and enjoys bringing this diversity to Midnight Rodeo. You can count on him for a good time! Laura Lee Crandall is happiest when drumming! Originally from Oklahoma, Laura Lee moved to Kansas City to attend UMKC and loved the city so much she decided to stay. While she loves and has performed many genres of music on drums, Laura Lee grew up with country music in her ears and feels at home there. Making music that creates a connection with the audience is her goal every show she plays. Craig was born and raised in Kansas City where his love for music started at a very young age. At 14 years old he picked up his brothers acoustic guitar and never looked back. For 20 years Craig has served in local church youth group and worship bands. In college, he was one of the founding members of the band Aslan’s Child as a singer and acoustic/electric rhythm guitar player and recorded a 10 song album. For the past 12 years Craig has served on the worship team at Jesus Church International and in the Spring of 2015 was featured on a 4 song EP released by the church entitled “All For You” that is currently being heard in 18 countries. Craig enjoys many genres of music but his loves for country music begin in the mid 90’s and has stuck with him through the years. Craig joined Midnight Rodeo in January 2015 with hopes of becoming a better musician while enjoying good music with friends, singing songs that relate to people and encouraging them as they face whatever life brings.